View More In Moisture Meters - Page 2. This pH meter is affordable and useful for those who need a PH tester for household and laboratory use. It's not only ideal for household or laboratory use. Also suitable for testing pH balance of drinking water, pool, aquarium, food Project, RO system, Spa, or hydroponics. ► Be careful with the glass probe since it may be a little fragile when you use. ► Remember to gently wipe it with a clean, soft cloth when you're done before capping it again. 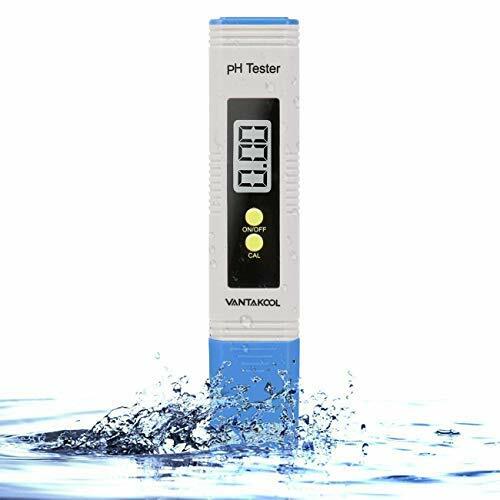 ✔AUTO CALIBRATION: The PH meter has an auto temperature compensation feature that adjusts to water temperatures and water quality to give pH readings almost instantly. As well, you can calibrate the tester with one touch button using Calibration Buffer Powder. ✔Lightweight And Easy To Use: Just remove the protective cap and immerse the PH meter electrode in the solution and press the button to be measured. Beats the heck out of trying to see the colors of a litmus strip. ✔Make You Satisfied With The Products: Come with 1x PH meter, 1x user manual, 3x 1.5V LR44 button cells(build-in), 3x PH Buffer Powders; 1-Year Warranty. If you have any questions about this product by MiToo, contact us by completing and submitting the form below. If you are looking for a specif part number, please include it with your message.